Here is your guide to the cars that have the highest devaluation in the United States. These models make great used purchases. We love the Nissan Leaf, Infinity QX80 and Ford Expedition. However, we feel it is our duty to let you know that they are the vehicles that lose the most value as soon as they are driven off a new car lot. These three all have a depreciation rate of 35% or more - the Leaf actually drops 40% - as soon as they become used. iSeeCars.com analyzed over 7 million new and used car transactions to weed out the vehicles that make the most sense to always buy new (Let's just say you don't want to be buying any 1-year old Hondas). While doing so, they also dug up the vehicles that depreciate the most. If you are considering an Expedition, QX80, or Leaf, be sure you check out the used market. You may be shocked by how much the lightly used versions can save you. iSeeCars says the lightly used cars they included in the study were defined as used vehicles from model years 2017 and 2018. In the case of the Infiniti QX80, it is $26,188. Enough for a good second car. The Expedition drops by almost as much at $24,690. A dollar value that would buy a nicely-equipped new Ford Escape. The Leaf drops by $13,524. That is 40% of its new price. The Leaf has always had a steep depreciation rate by comparison to other green cars like the Prius. The important piece of information left out of this analysis is the government and state rebates, which lower the price by $10,000 or more. Which means that if you bought a 2019 Leaf, with it's massively improved EV range, styling and features over the previous model, it would cost a little over $20K. It is true that you have to pay the full price and wait for the rebates/incentives, but it is a pretty good car for the price of a base model Honda Civic. The downside of the rebates on paper is that your Leaf depreciates drastically, and when you sell the car the price of course needs to be lower than a new model after rebates which drops down the price further. But I will agree that means that used Leafs are a relative bargain compared to other cars of similar age and mileage. 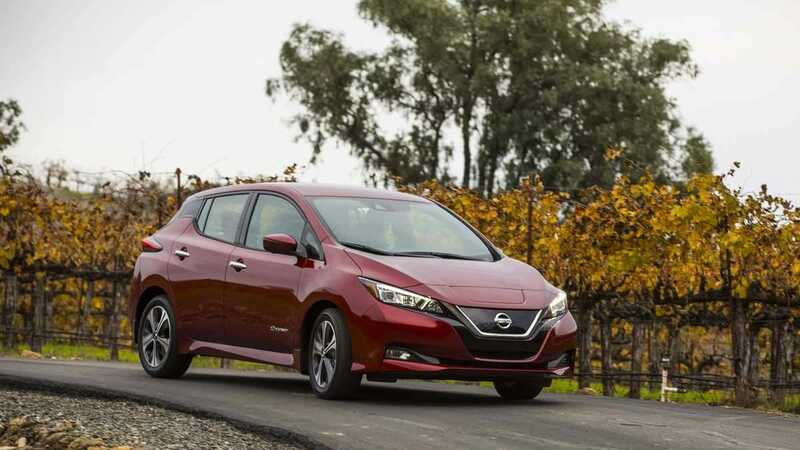 For example it is pretty easy to find a used Leaf with less than 30K miles for under $8K, and for a relatively new car that you can plug in at home it would make a great in town car or local commuter. Even if it lost a little range compared to when it was new. We got a used 2018 Nissan LEAF. Great car, it will last 20 years easily since we plan on using it in the LION sweet spot, 20-80% charge and save 100% charges fro trips out of town to granny's house. Only takes 2 seconds to plug it in and it charges for 2.5 hours on the built in timer and the next day it is ready to go. We charge overnight when most of the power is at a reduced rate, a surplus of nuclear power. The Nissan LEAF has a depreciation of $7500 to $12500 immediately because that is what is equal to the state and federal tax incentives. Its not really depreciation, it is capital gain on your investment. It shouldn't really be considered depreciation. When you buy an electric car, any electric car, be sure to apply all those tax credits and employee savings to the loan amount of the vehicle so you do not fall underwater on the load, Some people used that 7,500 tax credit for a trip to France then later they blamed the car for their poor choices and miseries. Used EVs are excellent bargains. Those tax credits and state rebates and employee bonuses are passed on to used car consumers. That makes EVs more affordable to people that do not qualify for tax credits or people on a budget like me. No better time to buy a used Nissan LEAF or Chevy Volt or BMW I3. Enjoy. You can get a 2015 BMW for $15,000, that originally listed for $56,000. or a 2015 Nissan LEAF for $12,000. Excellent city commuter car for young professionals.